Read this Sekiro: Shadows Die Twice guide to find out what is Dragonrot & Rot Essence in the game. Learn how to cure Dragonrot using a Dragon's Blood Sample, Droplet, and Recovery Charm. 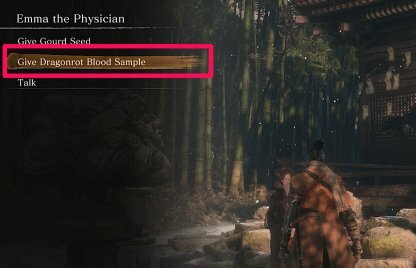 The first thing you need to do is talk to the infected NPC and grab a Dragonrot Blood Sample from them. You can check who is the infected NPC by looking at the description on your Rot Essence. After getting the Dragonrot Blood Sample, go back to the Dilapidated Temple and hand Emma the sample. She will give you two items that you need to cure that NPC's Dragonrot disease. One of the two items you'll receive from Emma. The Dragon's Blood Droplet is needed to cure the Dragonrot disease of the infected NPC. One of the two items you'll receive from Emma. The Recovery Charm is needed to cure the Dragonrot disease of the infected NPC. 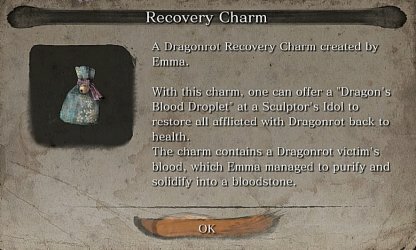 After you receive the Dragon's Blood Droplet & Recovery Charm from Emma, go to the nearest Sculptor's Idol and choose the Dragonrot Restoration option to heal NPCs afflicted with the sickness. Dragonrot is the in-game sickness in Sekiro: Shadows Die Twice that spreads every time The Wolf dies. It infects the NPCs he meets during the story and it will gradually get worse, the more times he dies. 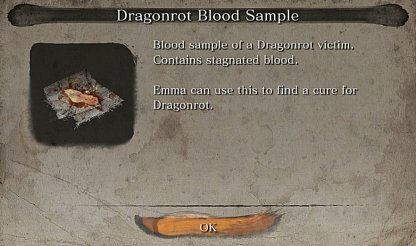 Dragonrot can be cured later in the game by giving Emma a blood sample of the infected NPC. 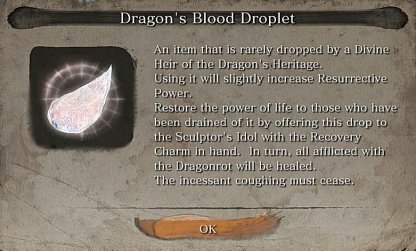 With the Dragon's Blood Droplet & Recovery Charm you get from Emma, you'll be able to heal the NPC inflicted with the sickness at the Sculptor's Idol. The first occurrence of Dragonrot will spread with 100% probability after your first 4 deaths. After your first 10 deaths, Dragonrot will spread with higher chances. When you cure an NPC of the sickness, Dragonrot will spread after 16 deaths. Every time Dragonrot spreads, you receive Rot Essence, indicating which NPC has been infected. This Rot Essence lowers your chances of activating Unseen Aid. 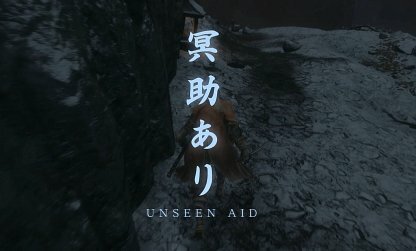 Unseen Aid is a randomly activated status effect or blessing that lowers the losses you incur when choosing not to resurrect in the field. Since it is randomly activated, it's not recommended to rely on this status effect.